Patchwork Foundation would like to invite you to participate in our #GetInvolved Programme. In the lead up to the Local Council Election on the 3rd May 2018, Patchwork Foundation will be offering you the opportunity to campaign alongside a number of high profile MP’s, Cabinet and Shadow Ministers. Through this programme you will get a fantastic experience and insight into direct action politics and learn more about community engagement. We will be offering sessions with the Conservative, Labour and Liberal Democrat parties. 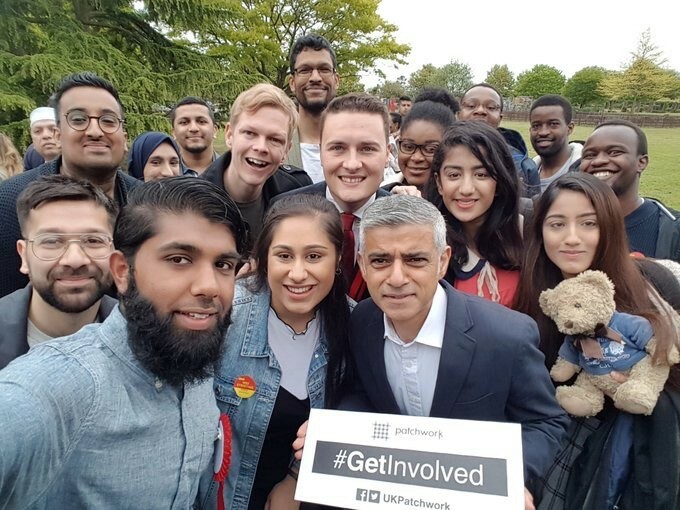 Through our #GetInvolved Programme you will also work with local council candidates and offices to ensure you are fully prepared before canvassing with candidates in the area. Our first Labour session we’re announcing will be with Shadow Minister for Disabled People, Marsha De Cordova MP. Marsha De Cordova MP has a unique background as she suffers from nystagmus and is registered blind. Come along to hear her incredible story and to learn about the community that she represents.